Paul: Hello! Welcome to our Games News! Thanks for taking the time to look around. If you’ll step this way, we’ll show you why we think this Games News is not only one of the most exciting there is, but why it’s a Games News that’s perfect for you. Quinns: We’re all really excited about Games News here. Come this way, just put your umbrella in the rack. Stepping into the vestibule, we can see what is arguably the centrepiece of this wonderful and unique Games News. Paul: It’s an Imperial Raider-class Corvette! 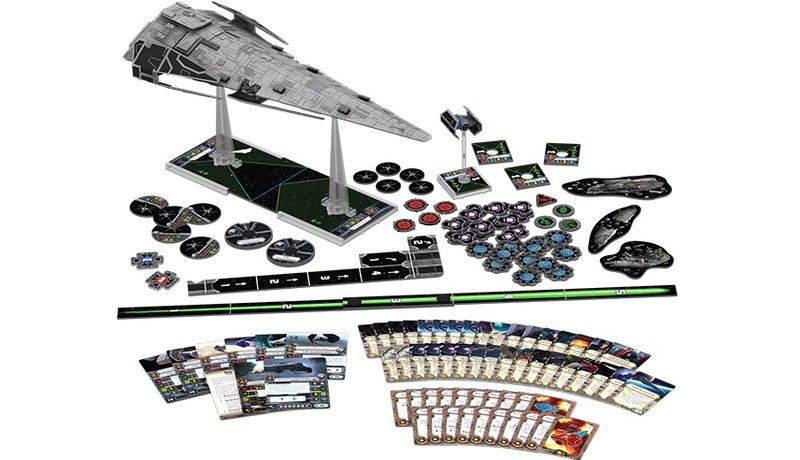 One part TIE, one part Star Destroyer, because Fantasy Flight ran out of ships for their X-Wing Miniatures Game really quickly and had to make some up. See how it captures the light so beautifully and brings a sense of homeliness to the space? *Quinns: And the Corvette doesn’t just come by itself. This expansion also comes with a cheeky TIE Advance, a perfect surprise for visitors to your garden nook. 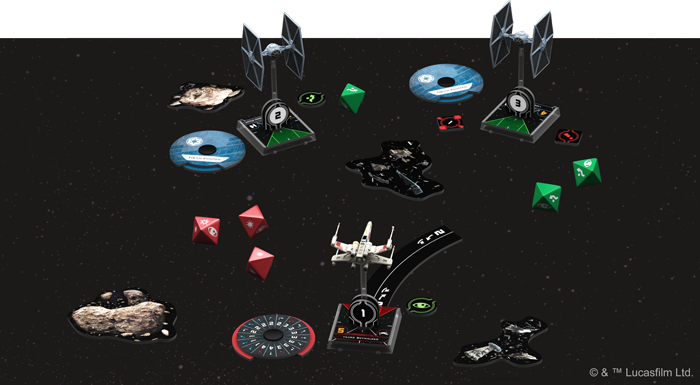 Paul: While the Imperial Raider pack also includes a bunch of new expert pilots, upgrades and tokens (apparently these pilots should do lots of barrel rolls), you’ll surely agree that it’s most beautiful aspect is the rotating TIE Fighter in the above link. This endlessly rotating TIE Fighter. It’s just rotating forever. Go visit Fantasy Flight’s website any time and you’ll see it’s always there, rotating forever, over and over. Er. Through here we have the English language version of Grog Island! As you can see, it’s vibrant, it’s colourful and it really fills out the space well. How can we bring you a new English version of this game of pirates and parrots? It’s thanks to a partnership between Passport and Pegasus Spiele. Paul: That was a lot of Ps. Paul: Yes, don’t mind the loose wires and poor grouting job. In here you’ll find the news about the new Discworld game, Clacks. Clacks can be played competitively, cooperatively or solo, which is an impressive proposition, and has players creating Semaphore messaging systems to communicate across the Discworld. Details are still a little thin right now, but apparently the game is going to debut at the Discworld Convention in Cork. That doesn’t mean a convention composed of cork, but one taking place in the south of Ireland. You know, if you imagine Ireland as a terrier rotated ninety degrees, Cork is on its back leg. Quinns: But you know what is ready to be shown off? Follow me up here, past the commode, and I can show you one of the most opulent suites I’ve ever shown anyone! Here’s something decorated in the German Kickstarter Style. What’s that, you say? Germany doesn’t have Kickstarter? I’m afraid I have to correct you there! It’s just launched and it’s already all the rage. Paul: Oh yes. Giving Germans access to a crowdfunding platform for board games was like giving catnip to tigers and, between all the pawing and meows, they’ve hurled Euros at projects like this adaptation of the German-language fantasy series The Dwarves, which has already doubled its target after just a couple of days. Paul: I have no idea. 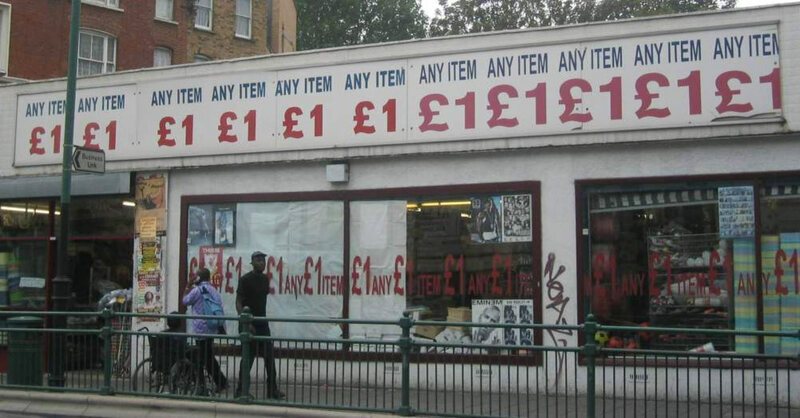 But think of the value here! This is something that’s really going to appreciate with time. 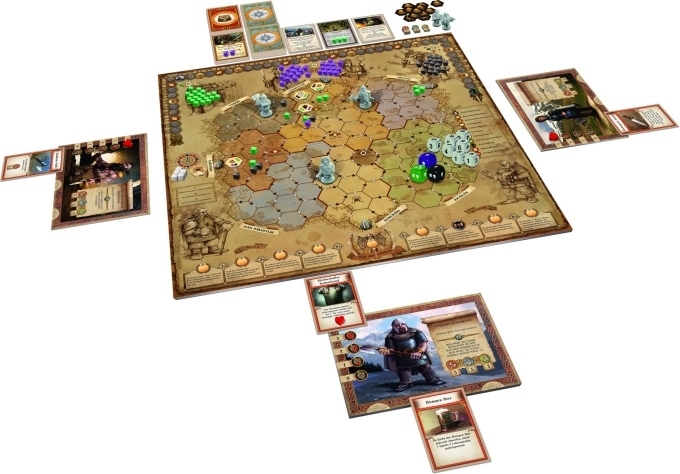 Quinns: And if you wanted some more traditional Kickstarter, then adjoining we have this quite spectacular but also more contemporary offering. 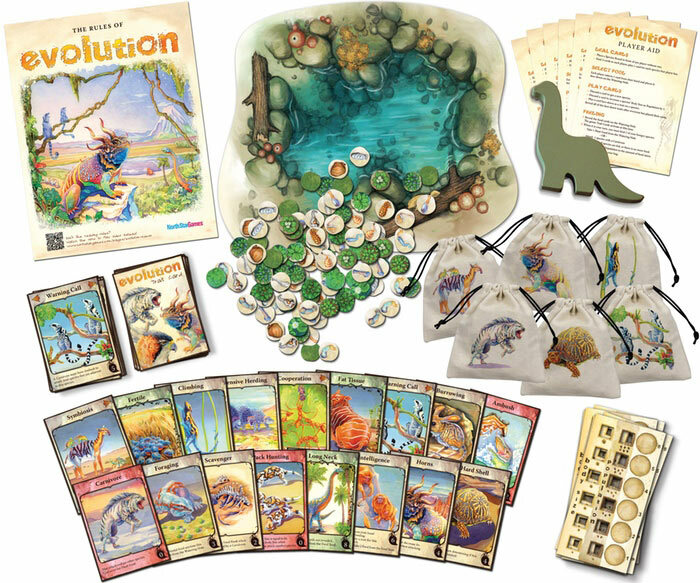 Evolution is now in its second edition, has been tremendously successful in its Kickstarter campaign and looks just extraordinary. Check out that wooden dinosaur! Look at those lavishly-decorated cards! Remember, it’s a second edition, so it’s had a lot of creases ironed out. I’m sure we can all agree that this is a fine, fine Kickstarter. Paul: If that isn’t enough to impress you up here, then let me show you this last very well-lit, airy and modern Kickstarter from the designer of the well-loved Escape: The Curse of the Temple. 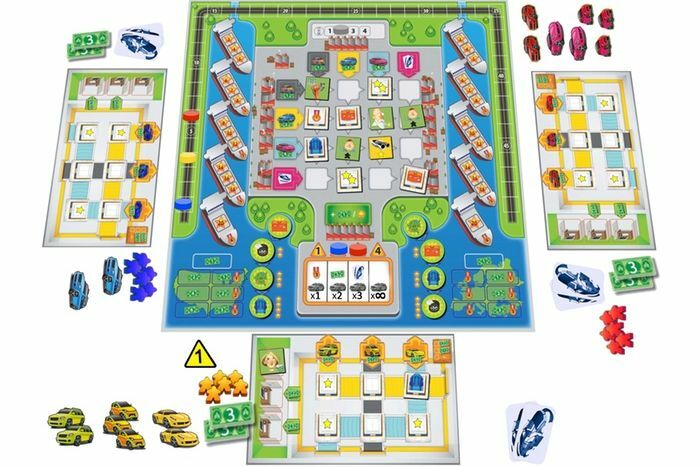 Automania is something quite different, a game of manufacturing and shipping cars around Europe. Quinns: Yes, this is a unique feature that you won’t find anywhere else! Uh, more specifically, it was pitched directly to us by its designer along with what was basically a threat that you should back this because it’ll NEVER ENJOY ANOTHER PRINT RUN (PROBABLY). Which is a weird and interesting bit of psychology. Paul: Ahaha! Well. Well. It’s still a something with so much potential, I’m sure you’ll agree. In closing, as well as reminding you that all of this comes with well-maintained period features, let us just show you the tremendous walk-in closet that is… Be-Witching. 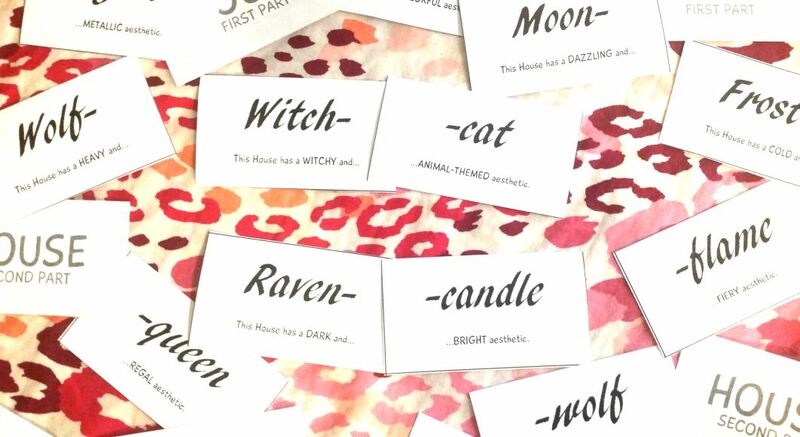 Quinns: Be-Witching is a print-and-play game all about drawing outfits that you think will win you the title of Witchqueen of the ball. You draw your outfits, you all critique those outfits and then you INTERVIEW PEOPLE ABOUT WHAT KIND OF A WITCHQUEEN THEY’LL BE! How is this not fantastic? I am so excited to give this a try myself. Paul: This is a little bit brilliant and I’m sure you’ll agree it’s a lovely way for us to close this Games News tour. Please do get in touch if you liked this Games News and if you’re thinking of making an offer. Our office would love to hear from you. Goodbye! Quinns: Bye! Phew, do you think they bought it? Paul: I don’t know. Some people just like talking to salesmen. At least they didn’t see how run-down some things are. Quinns: Yeah. Good job distracting them from the announcement of the Spiel des Jahres nominations. “Empfehlungsliste?” I’ll keep my lungs right where they are, thanks.